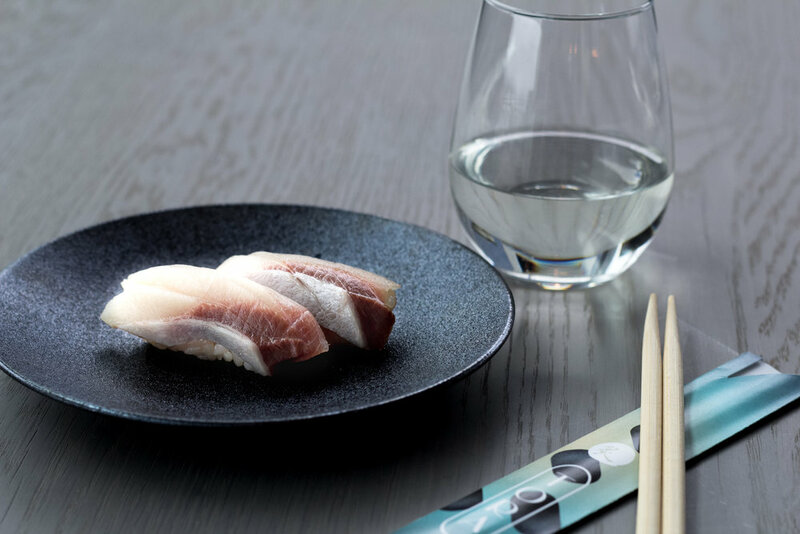 EdoPrime Nigiri is exclusive to TORA, where Japanese tradition meets global sushi culture for next level nigiri. 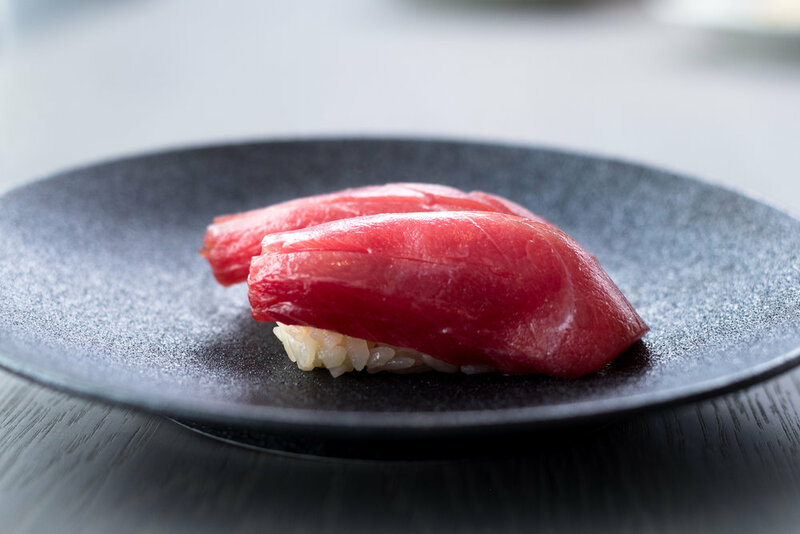 The base of EdoPrime nigiri is heavily influenced by Edomae style sushi. Using premium (prime) cuts of fish, this traditional sushi method is all about balance. We take pride in creating balance of flavour, texture, and temperature to create the perfect bite. 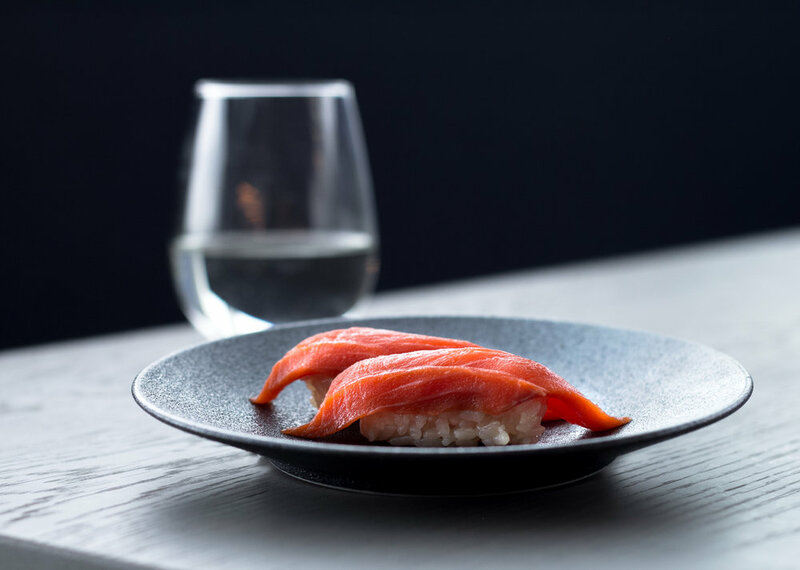 At TORA, we make each piece of EdoPrime nigiri with the Japanese word kodawari; being obsessed with quality in the pursuit of perfection. Ask any sushi chef what the key to perfect sushi is, and they’ll say it’s the sushi rice. Our Akazu Shari is created with red sake vinegar, giving the rice a unique reddish brown tinge. The resulting flavour is rounder and richer, a little more acidic and sweeter than other sushi rice, which matches well with the seafood. We also take special care to make sure the shari is the perfect texture, with each grain intact. The final touch is the temperature- we serve ours hitohada, or skin temperature. This combination of flavour, texture, and temperature are the perfect balance with the seafood to bring out the umami flavour for a melt-in-your-mouth experience. We take special care in selecting the seafood used in our EdoPrime sushi. This premium seafood is a special selection that you can normally only find of this quality in Japan. Our partnership with one of the biggest seafood suppliers in Japan (who works with the best Japanese fisherman) allows us to have first pick of the highest-grade fish. Our chefs then expertly filet and slice the fish, using the best traditional method to match with the texture of the akazu shari. Lastly, it’s brushed with our house made signature sauces to enhance delicate flavours of the seafood. Our chefs recommend trying it without any additional soy sauce.